Take time to laugh, it is the music of the soul. Take time to think, it is the source of power. Take time to read, it is the fountain of wisdom. Take time to love and be loved, it is a God-given privilege. Take time to work, it is the price of success. 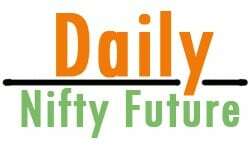 drag Nifty fut up to 5850. Short term trend is bearish below 5900.